When you win a bid to build a luxury construction project, you are expected to deliver. So, it’s highly advised that you project the correct budget to spend on those not-so-standard finishes that are often overlooked in a standard build. Aside from installing fancy sink fixtures, unique cabinet hardware, and upgraded doorknobs throughout a build, as a builder, you also need to take into consideration those things that buyers don’t really expect you to upgrade. However, when you do, it can make all the difference in the quality of your building project. Upgrading something as minuscule as a threshold can bring the interior of a space to a whole new level of luxury. The two main purposes of a threshold is to connect different flooring surfaces that may transition from one area of a space to another and keep dirt and any other elements from getting in or escaping. Throughout the years, different types of materials have been used to serve this purpose, and it’s usually inexpensive. In the earlier days, wood was used because it was and still is easily accessible, but after awhile, it became painfully obvious that this material didn’t last very long as a threshold. Bugs and other critters found it to be a threshold to their dinner! As a result, the wooden thresholds would disintegrate, weakening under pressure and serving as an obstruction instead of a barrier and/or seal. Builders got smart and started using aluminum for thresholds. It wasn’t that much more expensive than wood, it’s lighter weight, and its surface gave off a reflective shine, making the transitional space more appealing to the eye. It was the marble threshold of that day. Now, aluminum thresholds are about as standard as wood. Eventually, the aluminum threshold material got old and rubber thresholds became the builder’s preferred choice because aesthetically, it blended in better with different types of flooring whether it was carpet, vinyl, marble, or hardwood. Aluminum threshold distributors was eventually able to follow suit offering different colors, but like wood, these new types of thresholds also came with disadvantages. Standard thresholds just won’t work for luxury construction projects because they will eventually need to be replaced. This is due to the high amount of traffic that thresholds endure. For an aluminum threshold, it won’t hold its reflective surface for long as scuff marks from shoes and moving furniture to and fro will eventually take its toll on it. For the aluminum thresholds with color, that too will fade away, making a space look aged—which isn’t a good thing for a luxury build. Rubber may prove to be the more sturdier option, but it’s rubber, so with enough traffic, it’ll eventually get nicked and peel up around the edges. So whether you’re building a luxury residential home or a high-end commercial build, you’re going to need something a little stronger to reflect a more exclusive look. When you’re building a luxury project, marble thresholds is your standard. There really should be no other option other than what kind of marble threshold to buy, how many, and where? While it might make sense to buy marble thresholds from the same place you purchased your marble flooring or countertops, it’s highly recommended that you take all of your options into consideration, especially if you’re buying in bulk. As most marble distributors may give you a discount when you purchase your building products in large quantities, it still can be pricy. It is the construction industry after all, and as long as the demand remains strong, the cost for building materials will too—even at wholesale prices. That’s why you want to shop around and get the best price for your marble thresholds. The best way to do that is to look for a distributor that specializes in selling marble thresholds only. Chances are, they have an abundant supply that they are eager to get out of their warehouse, which means you’ll have a better chance of buying it at a better prices—with a wholesale discount. Stonexchange, a marble threshold and threshold distributor located in South Florida offers select marble thresholds that are the most preferred by builders, contractors, architects, and designers. 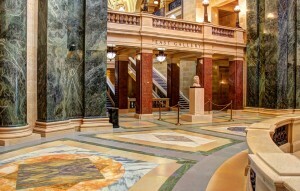 Our company manufactures, imports, and keeps a steady stock of marble thresholds. We sell our marble thresholds by the crate or full container. Stonexchange also sells our marble thresholds by the container for businesses that sell over 2,000 marble threshold units. This bulk amount may take a little longer as it will need to be imported. Production and ocean freight time need to be taken into consideration. We also have a warehouse in Miami that can ship your marble thresholds out to you the moment your order is processed. Contractors typically install or sell over 100 thresholds and possibly 1,000 a month, roughly. So, depending on how steady your luxury contracting business is, you may need a couple of crates a month. You can also order your marble thresholds on an as-needed basis. Our knowledgeable representatives can assist you with a recurring order and you can adjust your order schedule as you see fit. Marble thresholds aren’t the only kind of luxury building material we stock. We also have a large inventory of travertine tiles, pavers, marble mosaics and other accessories to make your luxury construction project look better than the competition. Call one of our representatives today to get a better idea of what we have in stock. You can also visit our website and contact us online now.